The Uttar Pradesh Real Estate Regulatory Authority (UP RERA) made it to news when over 15,000 complaints were filed in a day, favouring builders and diluting the Act, etc. In a candid conversation with Housing News Editor-in-Chief Jhumur Ghosh, UP RERA Chairman Mukul Singhal talks about the numbers highlighted in the media and how the Act would impact the real estate market of UP. Ghosh: How many registrations and complaints have you received so far? Singhal: The UP RERA website is the first portal in the country to allow instant registration. In a short span of time we have received about 2,250 registrations, most of which are ongoing projects. The idea of creating a system for instantaneous registration was to make the process simple. It has been a good experiment and so far we have got 12.5 crore hits, which is almost 100 times more than any other RERA website. We recently also launched a fully digitised online complaint system. As the complaint is filed, the notices to the parties are sent by the system through an email automatically. Documents uploaded by any party are shared with other parties. Ghosh: Media reports suggest that the UP RERA received 15,000 complaints in a day. What is your take on it? Singhal: The numbers mentioned in many media reports is false. The total number of complaints on the UP RERA website is little over 1,300 and this is a very full-proof data where no clerical error is possible. Ghosh: Why does UP RERA makes it mandatory to register property registrations based on carpet area only? Singhal: The real estate law is a Central law. The law provides that the registration has to be on the basis of carpet area. This is in the interest of homebuyers as well as the future consumers of real estate. This is not a retrospective act but a prospective act. The law will cleanse the market for good and in the long run, people will see great relief. It will bring the great amount of transparency in the sector. Buyers are feeling much more protected and also chances of getting cheated are little. The market will be regulated and new investment will flow. Ghosh: According to media reports the UP RERA has kept all such projects outside the purview of the law which have been either issued, or have applied for occupancy certificates. Buyers are worried that projects launched years back and still under construction will not come under the RERA. What is your response to this point? Is there any assurance that you can give to homebuyers about how the RERA can help them? Singhal: Out of 2,250 registered projects, around 2,000 are ongoing. In UP, the legacy was a large number of projects were built and sold, being sold without completion certificate being taken. But now the Act provides for the completion certificate. But in a large number of projects, completion certificate was never even applied for or taken and people moved in. The rules provide that if 60 per cent of the flats are occupied then the project is deemed a completed project even without completion certificate. But some people do feel concerned and the government is revisiting this part. We also had a quick survey of what number of projects have been left out. The information collected does not throw up a large number of such projects as that should have been registered under the RERA but are not registered because of the rules. The rules are reasonable but the government is thinking to revise the rules wherever necessary. Ghosh: Is the UP RERA more builder friendly than it should be? How similar would you say UP RERA is, to the central RERA? Singhal: The structure of the law is clear. It is a Central law which says that states can have their own rules. Every state has to come up with their own rules. The UP market is not same as the Madhya Pradesh market or the Delhi market. Every state is trying to put in the features that they think are necessary. The state government is closing looking into what changes we need to make, so that it ultimately benefits the homebuyers. But in that process, we have to be reasonable and look into the genuine concerns of the developers, too. For instance, Noida case has been well-handled by the state government by putting pressure on the developers that they have to deliver to the customers and also ensuring that genuine issues of the developers are taken care of. 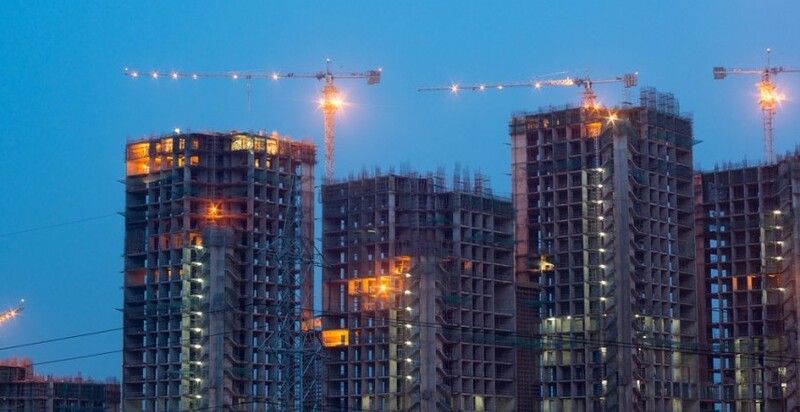 Ghosh: How are builders responding to the RERA? What is the sector’s feedback? Singhal: The sector is reasonably upbeat. There are good builders and bad ones, too, and we need to separate the wheat from the chaff. 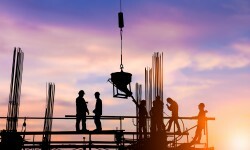 The most genuine demand of the builders will have to be met. The RERA is not meant to benefit builders or buyers but to regulate the market which means everybody. Recently, the Mumbai High Court held the provision of the RERA. So you see the RERA has passed the test of Parliament and now, the judiciary. Ghosh: The UP High Court had revoked the penalty order by the UP RERA on realty firm Unitech, for the delay in registering the ongoing projects. As the RERA chairman, what are your thoughts on courts having the power to revoke such judgements? Singhal: Judiciary is an important pillar of the democratic system of our country. There are many occasions during which we have seen judicial intervention has improved the situation. It’s not something which I see as an interfering office and we have full faith in the judiciary. Ghosh: How will the UP RERA help the various property markets in the state, and the homebuyers? Singhal: We will soon see a clean market. We will see that genuine people and buyers will get good products. Builders and government authorities have to amend their ways. We have to balance the market. The RERA is the extension of the legal framework that we already have. It is an extension of all that we have already had such as the Uttar Pradesh Apartment Act, the IPC Act, etc. The RERA will regulate the market as bad developers will be weathered out while good ones will emerge.